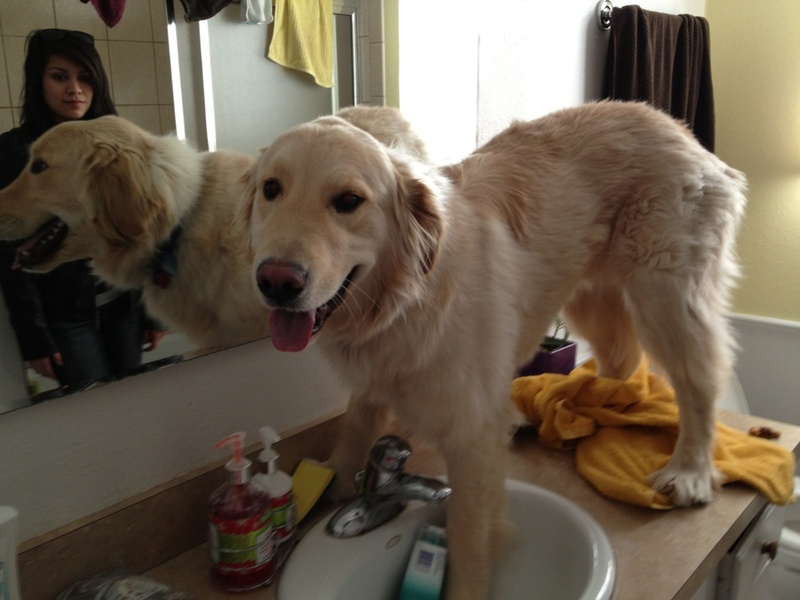 15 Dogs Who Think They Can Get Away With It Just Because They’re Cute. Some people prefer their pets to co-exist with them in much closer quarters than others. Some people sleep with their dogs, some allow their pups onto the couch, and some even allow their pooches to have a place at the table. Others are not as accommodating, and feel that dogs should remain on the floor at all times, should sleep in a crate, and should never try to live side-by-side with humans in any way, shape or form. No matter what your school of thought on this, dog owners everywhere are likely bound together by one shared idea: The dog should never be on the counter. Unfortunately, these dogs didn't really seem to get the memo, and have somehow made their way into the forbidden realm of Clean Counter Space. Perhaps we should leave this kind of undignified behavior to the cats next time, eh pups? #1. He looks like he knows he messed up. #2. My toothbrush goes there. #3. Now I have to clean hair AND fur out of the sink? #4. Unless you are a centerpiece or a plate of cheese, remove yourself from my counter. #5. How did you get here? No puppy's s'posed to be here. #6. This is definitely not your safe space. #7. Guarding the Blender Realm.